All in one desk top organiser with 8 handy compartments provides great filing of documents and accessories alike. 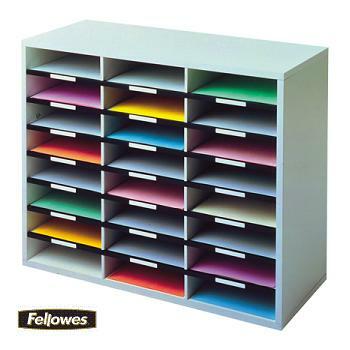 Includes plastic clips and labels for setting up a desktop index system. 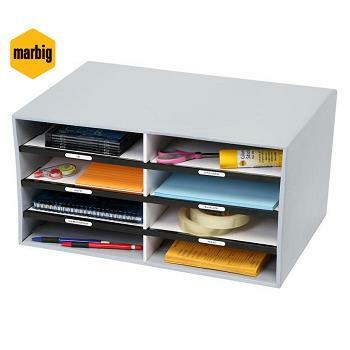 Colour - Grey/White to suit any office decor. 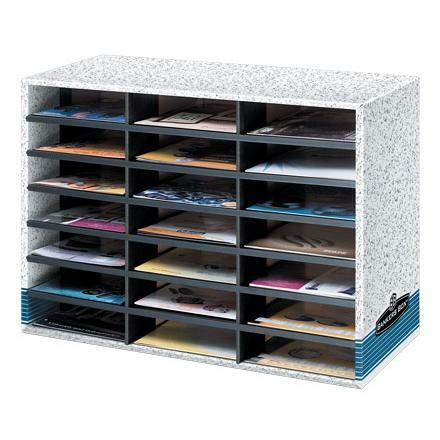 The ideal desktop organiser to manage lighter workflows...ideal for mail, forms or other A4 size literature. 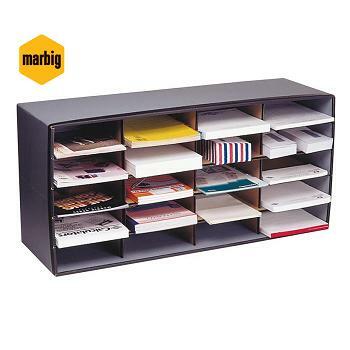 8 Compartments - Includes plastic channels and labels for setting up a desktop index system. Corrugated board construction. Easy to assemble - no tools required. 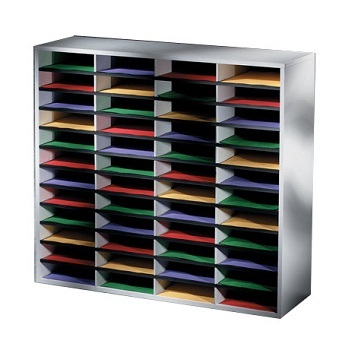 20 compartments for storing files, papers, brochures, mail and more. Australian made from 100% recycled board and is 100% recycled after use. 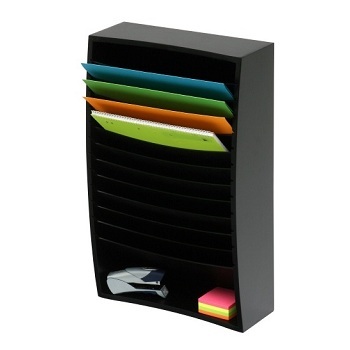 Vertical 4-Tier Wood Organiser... perfect for desktops and workstations. 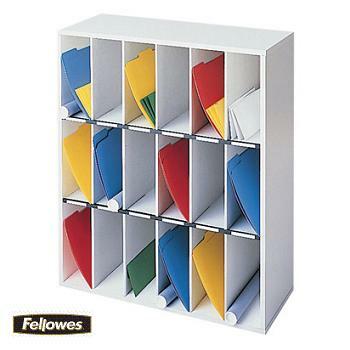 Ideal for storing typing paper, envelopes and letterheads - fits A4 and foolscap sized documents. Modern curved design. Designed to suit any office décor. 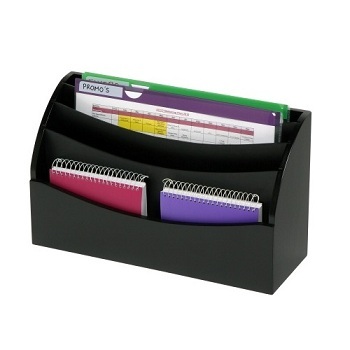 Wood organiser with stylish black finish. Comes assembled. 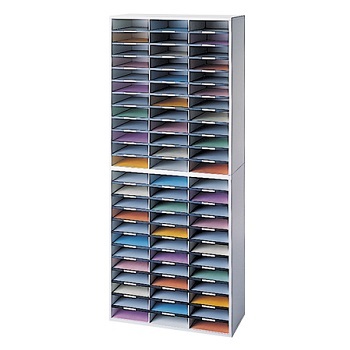 Vertical or Horizontal 6-Tier Wood Organiser... perfect for desktops and workstations. Can be used either horizontally or vertically. 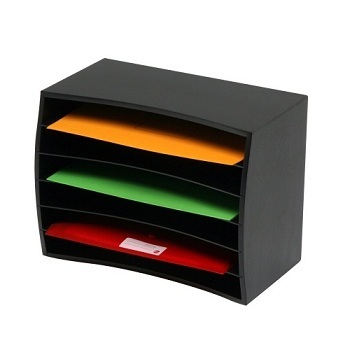 Modern black finish wooden desktop sorter for style and durability. 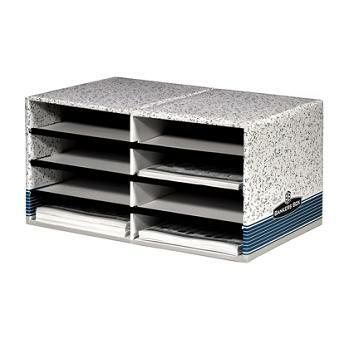 Ideal for staff mail pigeon holes. Fits A4 and Foolscap documents. 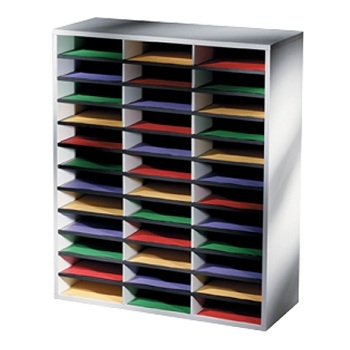 Designed to suit any office décor. Comes assembled.